Browse Through Our Machinery Stock- Carruthers Machinery Co.
We stock a huge range of farm machinery for sale in our Young and Cowra Dealerships. CASE IH 8240 COMBINE HARVESTER, 2016 Model, 897 engine 701 rotor hours, 28.5??? suspended tracks, Pro 700 display with Nav and 372 receiver, folding unload auger, power folding bin covers, 45ft 3152 Draper front with automatic header height sensors, upper cross auger on a Stumpjump 4 axle trailer with lights, over-sized sign, tool boxes, and mudguards. CASE IH 9240 COMBINE HARVESTER, 2016 Model, 927 Engine Hrs, 737 Rotor Hours, Pro-700 Display with Nav Controller & AFS-372 Receiver, Power Folding Bin Covers, Folding Unload Auger, Case IH 3152 45ft Draper Front 2016 Model, Quad Axle Trailer with Lights. 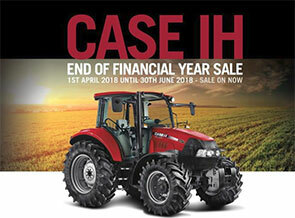 CASE IH 7130 COMBINE HARVESTER, 2012 model, 1563 engine hours, 1176 rotor hours, AFX Rotor, Rock trap, Pro 700 display, 900/60R32 drive tyres, 600/65R28 steer tyres, UHF Radio, CD Player, rotating beacons, oversize signs, fire extinguishers, 35ft 2142 Draper front with tyne reel, Stumpjump 3 axle trailer.